Tammy Lum, pianist - D.M.A., N.C.T.M. Please enjoy her piano recordings. Praised by the New York Concert Review for her "Bravura performance...brilliantly light finger work...confident and dramatic, bringing the audience to its feet" at the "Pianomania" concert with pianist, John McArthur at the New York Merkin Hall in 2008, Tammy Lum is a versatile performer, multiple competition prize winner and music educator. As the winner of the 1990 Leschetizky Foundation Competition, Ms. Lum made her U.S. solo debut at Carnegie Recital Hall in the same year. She is a first prizewinner of numerous competitions, including the Competitions of the Five Town Music and Arts Foundation (1990), the Manhattan School of Music Concerto Competition (1988), the Mieczyslaw Munz Foundation Scholarship Competition (1988) and the William Boyd Competition (1987). Other prizes include the New Orleans International Piano Competition (1995), The Liederkranz Foundation Competition (1986), and the Young Keyboard Artists Association (1985). Her recordings include "Piano Trios: Parker, Rachmaninoff, Chaminade, Liljestrand & Piazzolla" (2013) with the Amasi Trio, Trio In Residence of Nyack College, and her solo piano, "My Treasure Box" (1999), released under the label of Hugo Productions, Inc.
As an inventive performer, Ms. Lum has produced with her husband Leo Li, two multimedia programs, "Legends and Fables on the Piano" and "Around The World In Music," which were performed in Hong Kong, China and the U.S. Her other project of interest and doctoral research has been a series of performances of song settings and readings of Emily Dickinson's poems with soprano, Beverly Hoch, The multiple performances have included, among others, the College Music Society's 50th Anniversary National Conference in Salt Lake City, Utah and "Around New York" WNYC, FM 93.9. Among her more important concerto appearances and recitals have included collaboration with the Hong Kong Philharmonic Orchestra, Hong Kong Sinfonietta, Augusta, Georgia Symphony Orchestra, Sarah Lawrence Symphony Orchestra, Manhattan School of Music Symphony Orchestra, and Nyack College String Orchestra. Her more important performances have been in Alice Tully Hall in New York, Dame Myra Hess Concert Series in Chicago, The Annual Beethoven Festival in New York, the Sarah Lawrence College Concert Series, the Hong Kong City Hall Theatre, the Town Halls in Hong Kong and La Salle Cortot at l� �cole Normale in Paris. As a passionate chamber music lover, Tammy Lum performed in a world premiere of the Piano Quintet by Thomas Oboe Lee with the award winning Formosa String Quartet. Ms. Lum performs regularly with the Amasi Trio, the Trio in Residence of Nyack College School of Music for the last eighteen years. The Amasi Trio, which name stands for American Asian, recorded the "Trio Parables" and "Violinist in the Mall" by composer William Vollinger. The latter received first prize at the 2005 Friends & Enemies of New Music Composition Competition. Other chamber music collaboration were with violinist, Joseph Lin, violist, Lawrence Dutton and bassist, John Patitucci. 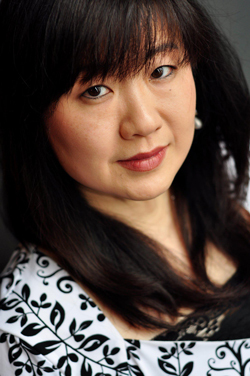 As a professor and piano pedagogue, Tammy Lum is a tenured music professor at Nyack College, New York. She has conducted master classes for more than two decades to young children, college music students, professionals and adult amateurs in colleges and universities in the US, Hong Kong and China. In January 2013, Dr. Lum led a tour of Nyack College students and faculty under the auspice of Global Service Learning Department to perform multiple programs of "Chamberfest Asia" in Korea, Hong Kong and China. Her academic teaching subjects include all piano studies (Pedagogy, Accompanying, Service Playing, Literature), theory and analysis and chamber music. Graduates from her studio have continued on to successful musical careers and studying at notable graduate programs, such as The Juilliard School, Oxford University, Rutgers University, Eastman School of Music, New York University, Ithaca College, to name a few. She is also a frequent judge at competitions and auditions in the NY-NJ-CT tri state area. She is the Founder and Artistic Director of Hudson River Pianofest at Nyack College, NCTM (National Certified Teacher of Music) with the MTNA (Music Teachers National Association), and a member of the Rockland County Music Teachers Guild. A native of Hong Kong, Ms. Lum received her higher education in the United States, where she earned her Bachelor's and Master's degrees from the Eastman School of Music, participated in the Professional Studies Program at The Juilliard School, and Doctor of Musical Arts at the Manhattan School of Music. She was also a scholarship participant at the Aspen Music Festival. Her teachers have included Barry Snyder, John Perry, Bradford Gowan, Herbert Stessin, Constance Keene, Steven Mayer and Elena Tatulian.